If you have dental insurance coverage, like most people, you want to know how much of the treatment will be covered and how much out-of-pocket expense you will have. Most dental benefit plans arise from an agreement between an insurance company and a plan sponsor [employer or union]. There are literally hundreds of plans with endless variables concerning limitations, exclusions, deductibles, annual or lifetime maximum benefits, co-payments and fee schedules. If you have changed jobs, your new plan may not have any resemblance to your old one. If you already have dental insurance for your child(ren), we need you to bring in specific information for us to give you the best advice as to your coverage. We must have your insurance policy and ID number. If possible, bring your benefits booklet. If you don’t have one, call your employer or insurance company and request it. Once we read the benefits book, we can project a general idea for what services and treatment are covered and the percentage of reimbursement. 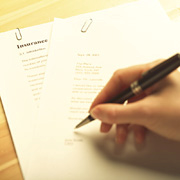 We can submit the proper form and appropriate records to your insurance company. Occasionally, we will submit for a “pre-determination of benefits.” They will return it with the accepted, allowable treatment and the exact amount of coverage. Once we have reviewed your plan, we should be able to answer most of your questions. Some plans will only allow the least expensive way to treat a problem, regardless of your choice or our recommendation. We hope that you don’t base your child(ren)’s dental needs and oral health solely on what benefits your plan allows. Our office will be happy to discuss a variety of financial arrangements that will make it possible to receive the treatment they need, while maximizing your insurance benefits.